US Defense Secretary Chuck Hagel has ordered that the USS aircraft carrier George H.W. Bush be moved to the Persian Gulf in case Washington decides to use military force in Iraq following the rise of attacks by an Al-Qaeda offshoot movement. "The order will provide the Commander-in-Chief additional flexibility should military options be required to protect American lives, citizens and interests in Iraq," the Pentagon said in a statement on Saturday. 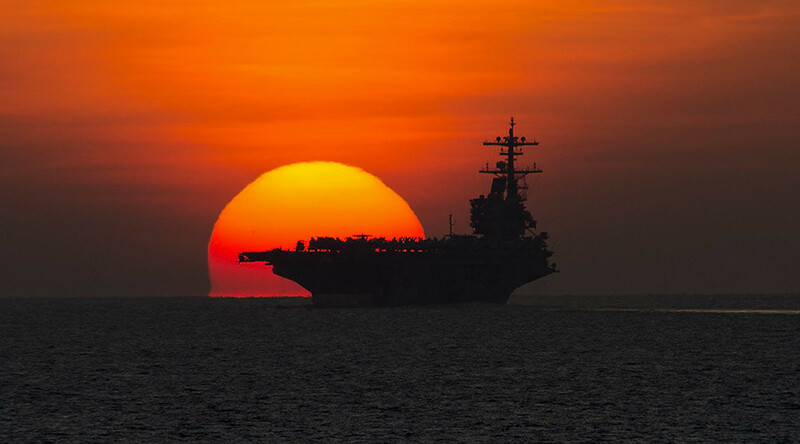 The carrier USS George H.W. Bush will be accompanied by the guided-missile cruiser USS Philippine Sea and the guided-missile destroyer USS Truxtun, the Petagon added. The Bush is a Nimitz-class aircraft carrier, the largest warships in the world, according to the US Navy. The ships are powered by two nuclear reactors and can carry a crew of about 6,000 people. 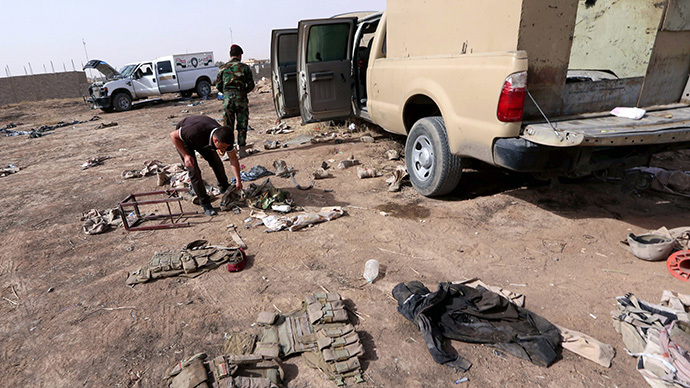 Iraq has seen a surge of violence in recent weeks as radical Sunni militants of an Al-Qaeda offshoot, the Islamic State in Iraq and the Levant (ISIS/ISIL), have been advancing and capturing cities in the north of Iraq. The militants have already captured the cities of Mosul and Tikrit, and earlier declared that their top objective was the capture of the capital Baghdad. On Friday, President Barack Obama said the US may begin providing military assistance to the Iraqi government to battle the insurgents within days. Obama noted that he discussed the crisis in Iraq with his National Security Council earlier in the day, and will soon reveal what action, if any, the US will take. 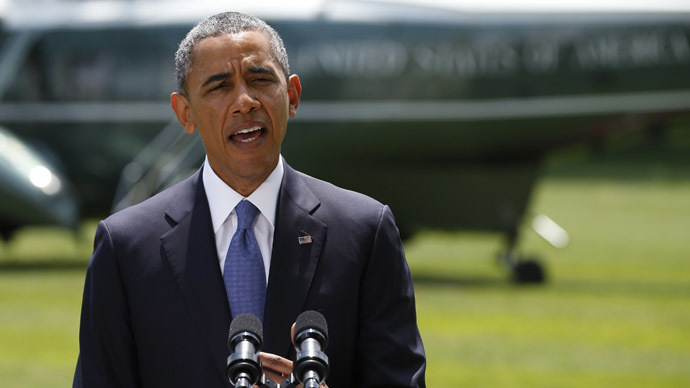 On Thursday, Obama said that if US interests become threatened, a response will be warranted. A senior US official said earlier in the week that Iraq has privately indicated to the Obama administration that it would welcome airstrikes with either drones or manned aircraft that target Al-Qaeda offshoot militants, The Wall Street Journal reported. 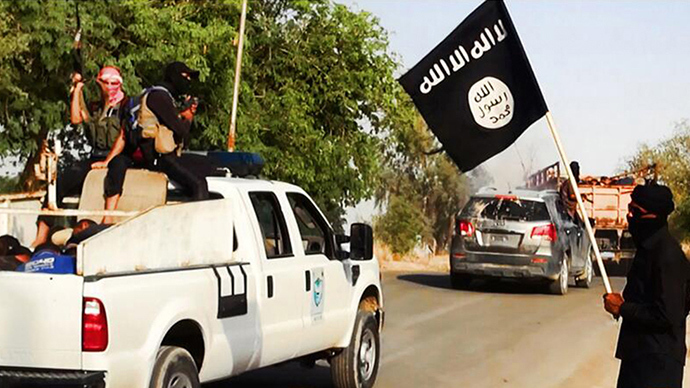 According to experts, the United States can take steps to decrease the violence and tensions in Iraq. However, they have to scale back Washington's aggressive support for Prime Minister Nouri Maliki's exclusive government. "The United States has to change its tactics, as do other Western nations, in militarily supporting the Maliki government and deepening the war situation as opposed to trying to move all parties towards a process of national reconciliation," anti-war analyst Eugene Puryear of the ANSWER Coalition told RT. Iraq saw one of its bloodiest days last Saturday, with a string of car bombings killing an estimated total of 60 people in Baghdad. A further 59 people were killed in the country’s north. Around 800 people were killed in sectarian violence in May alone.